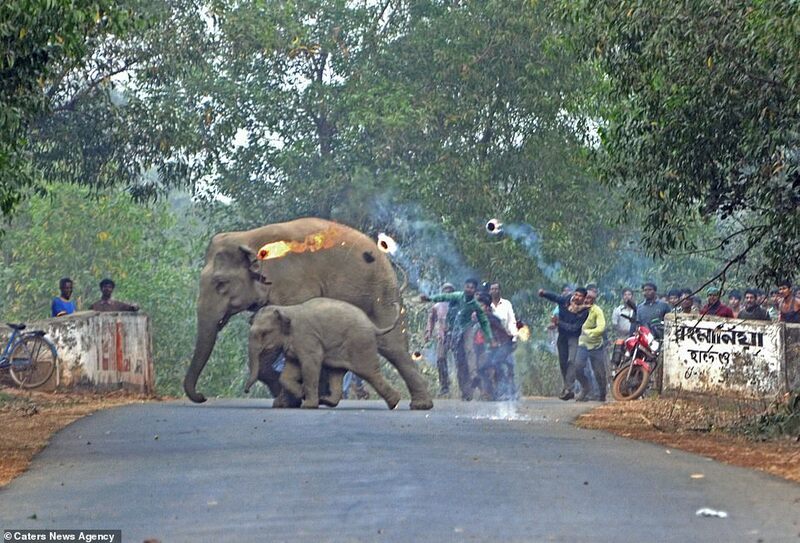 Angry residents in India launched firebombs at a mother elephant and her calf in a bid to stop the confused animals wandering onto their crops in India. 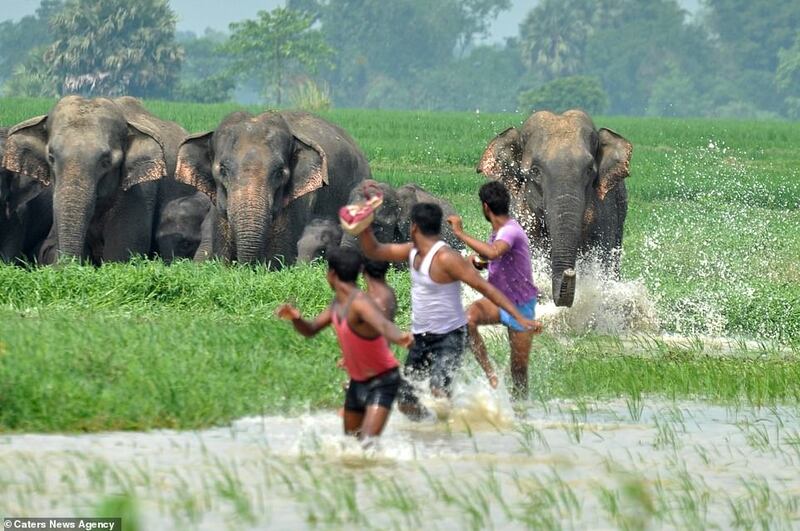 The images, taken in Bishnupur, India, show the extreme lengths the inhabitants go to to deter elephants from damaging their property. 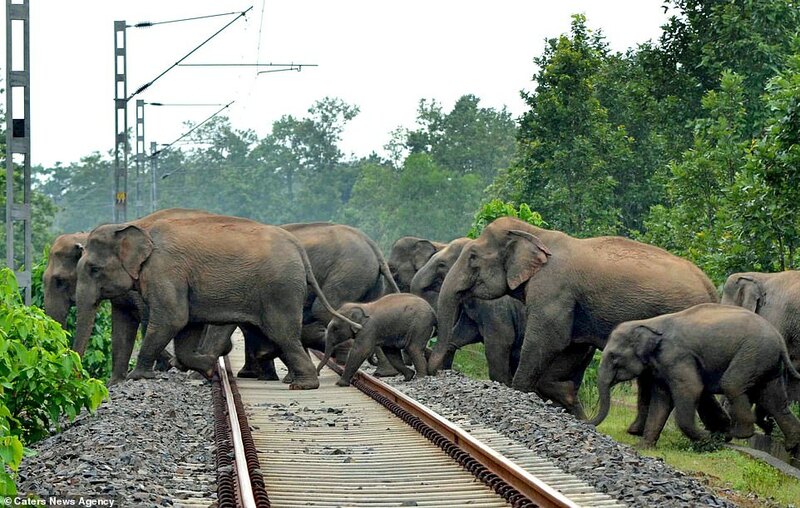 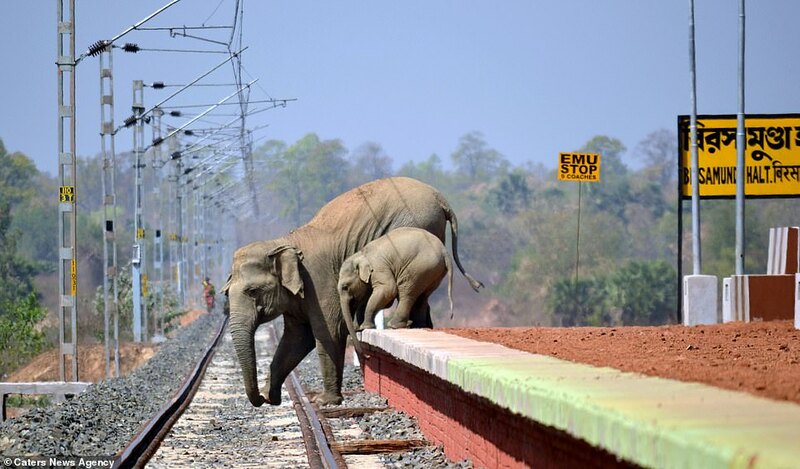 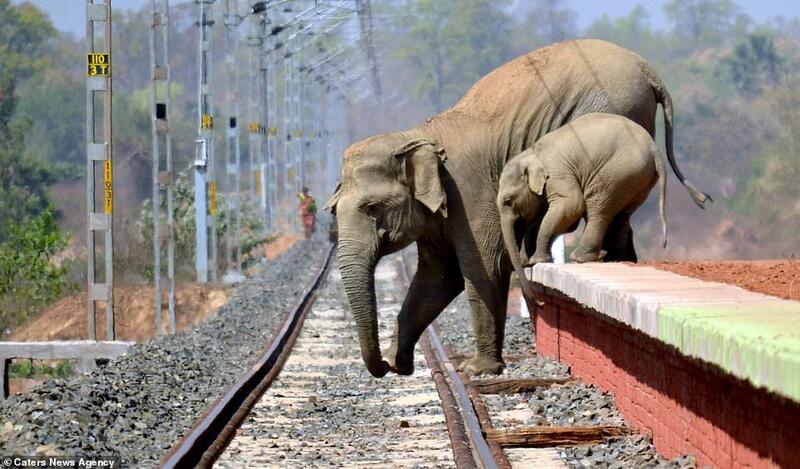 Heartbreaking photos show a family of elephants attempting to navigate a railway line built straight through their habitat. 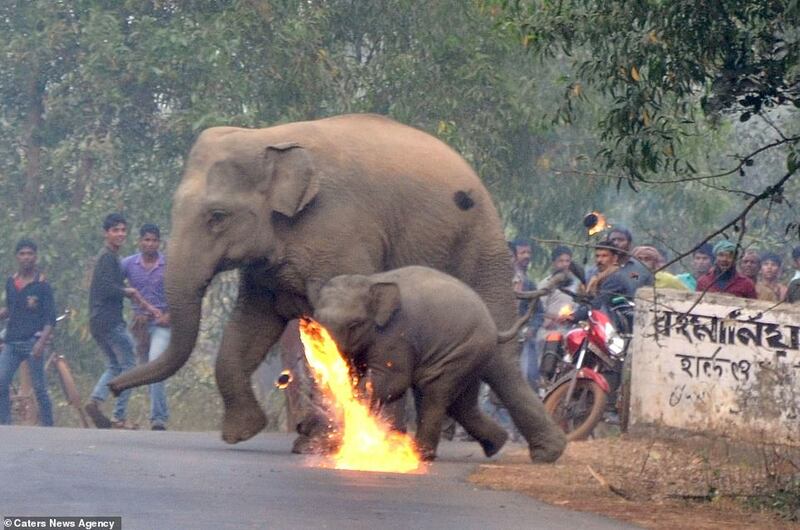 In one image, men can be seen hurling firebombs at a mother and its calf, with the flames causing the panicked animals to run across a road. 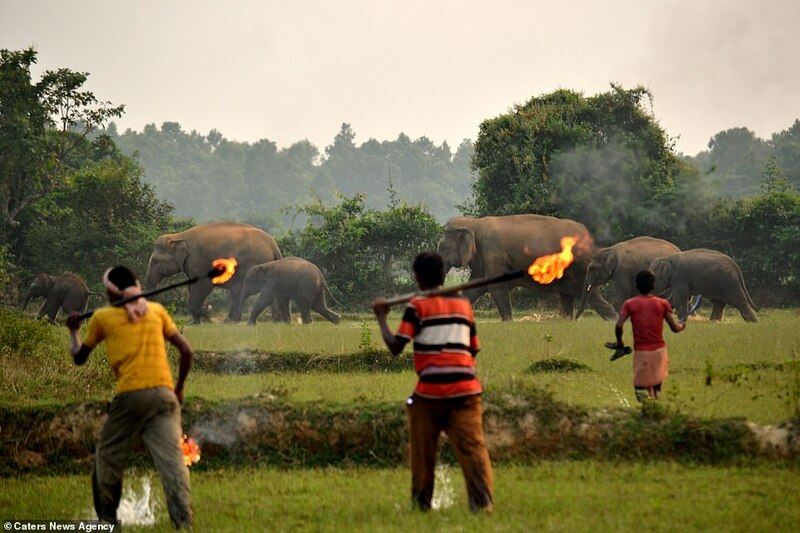 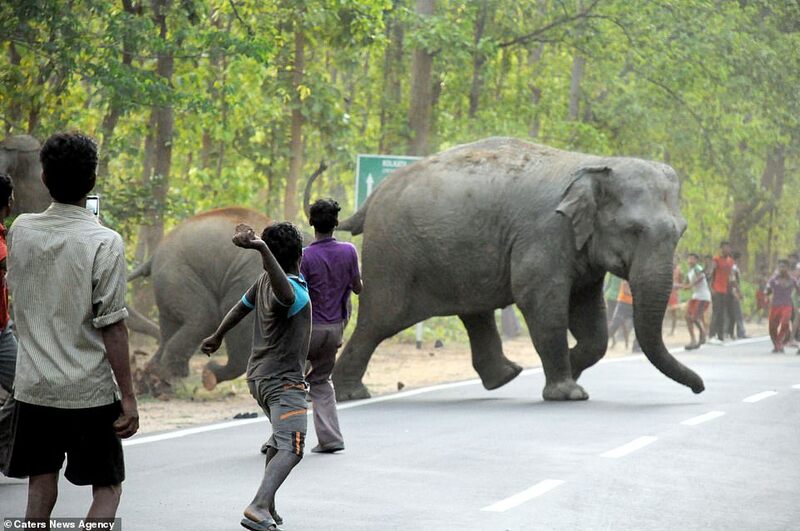 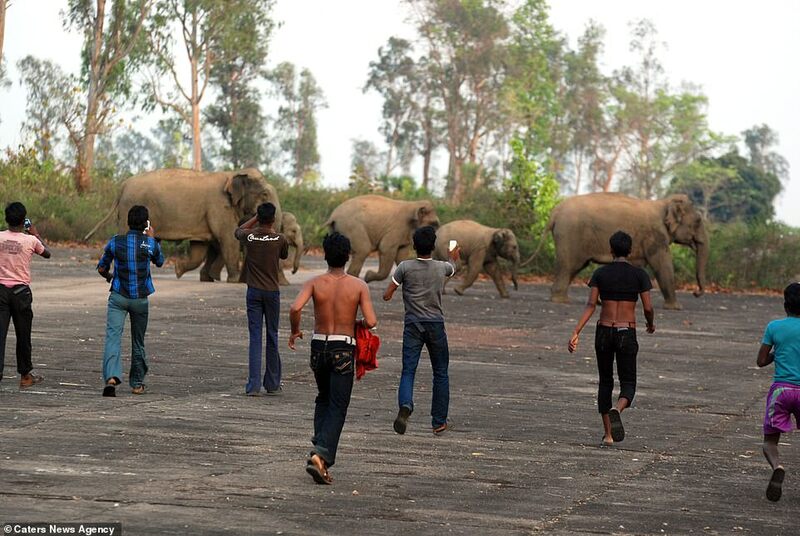 In another, villagers are seen walking towards a herd of elephants waving burning sticks.